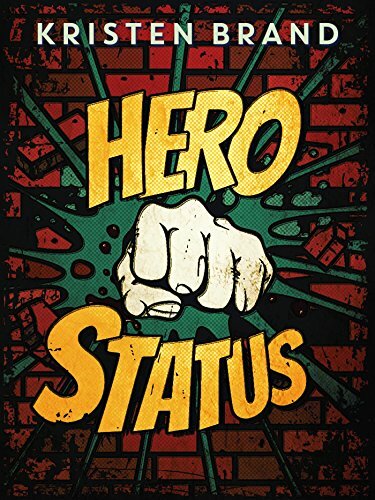 #bookeveryweek Hero Status by Kristen Brand. As a superhero novelist myself, I'm always looking for fresh takes on the genre. I found one in this story! Of course, since it's a superhero story, it doesn't stay a quiet domestic bliss sort of story. There's a wonderfully creepy super-villain in Dr. Sweet and lots of in-fighting based on misunderstandings and judgments about each other's morality. I loved the different takes on heroism and the cooperation and competition among heroes and with the authorities. The action sequences are innovative and exciting and the relationships and history from del Toro's past build suspense and intrigue. It's a good balance of plot and character that had me cheering for del Toro throughout. I was engaged from beginning to end and would definitely read more of this series.